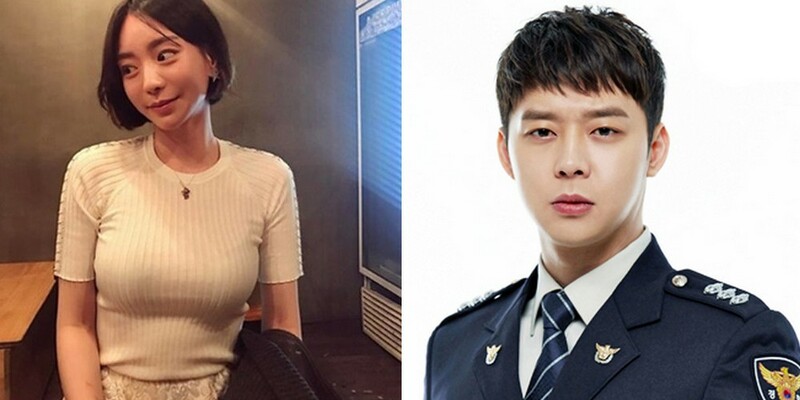 Hwang Hana is well-known as Yoochun's fiancee, as well as the granddaughter of Namyang Dairy Co.'s CEO (A major dairy producer in Korea). On her Instagram, Hwang Hana shared what she stated as "Footage from the special anniversary event gift." 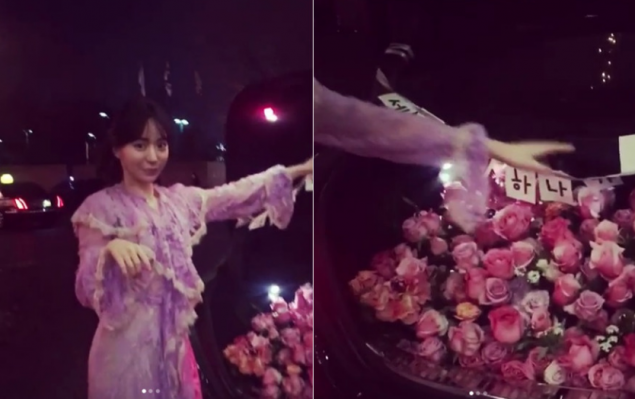 The footage showed Hwang Hana standing in front of a trunk filled with pink roses, smiling brightly. 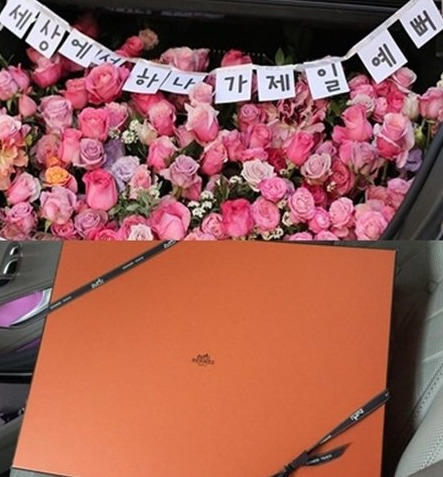 Additionally, she showed off a box containing a luxury brand bag, which likely came with the trunk full of roses. 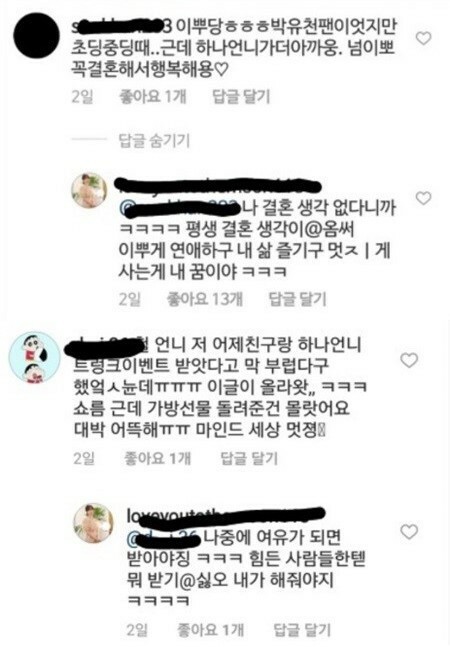 What do you make of Hwang Hana's replies?